While the Nostruckture Ship stay at port stuck in the frozen seas, the crew spread into all Europe for the Winter Tour ! 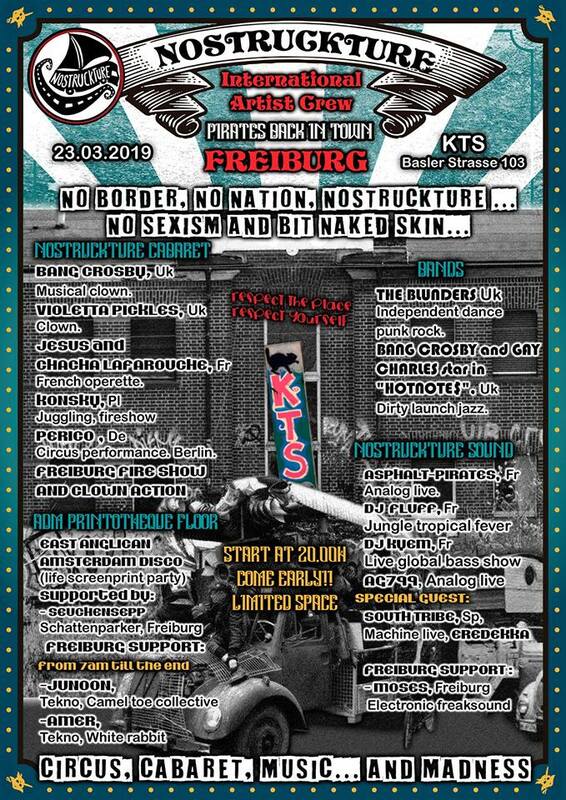 For the 5th step, we are welcome in KTS in Freiburg. Expect a big show with a great part of the Nostruckture international travelling cabaret in collabortation with crazy local artists. electronic music with livers and DJs from all around Europe ! come and enjoy the EAST ANGLICAN AMSTERDAM DISCO .Live screenprint party ,lots fun for shure. + Fire show and of course Pirate Bar ! 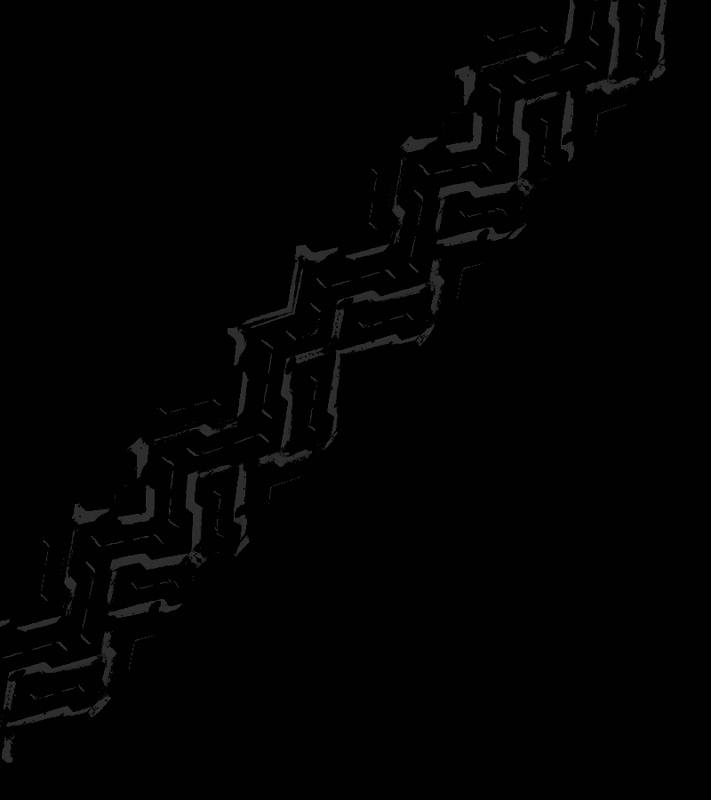 Welcome to hell, for the 4th step, we are proud to be welcomes in the mythical Köpi Berlin downtown. Expect a big show with a great part of the Nostruckture international travelling cabaret and a lot of local artists. concerts, electronic music with livers and DJs from all around Europe ! + Fire show, Pirate Bar and of course crazy madness! For the 3rd step, Strike welcome us Rome. Expect a big show with a great part of the Nostruckture international travelling cabaret in collabortation with local artists. + movie projection, Fire show and of course Pirate Bar ! For the second step, we are welcomed by the ErnstKirchwegerHaus in Vienna. Expect a big show with a great part of the Nostruckture international travelling cabaret in collabortation with the famous Rhizomatic Circus from Austria ! Concerts and electronic music, with live bands, live sets and Djs from all Europe ! Plus exhibitions, Fire show, Vegan Food and of course Pirate Bar ! 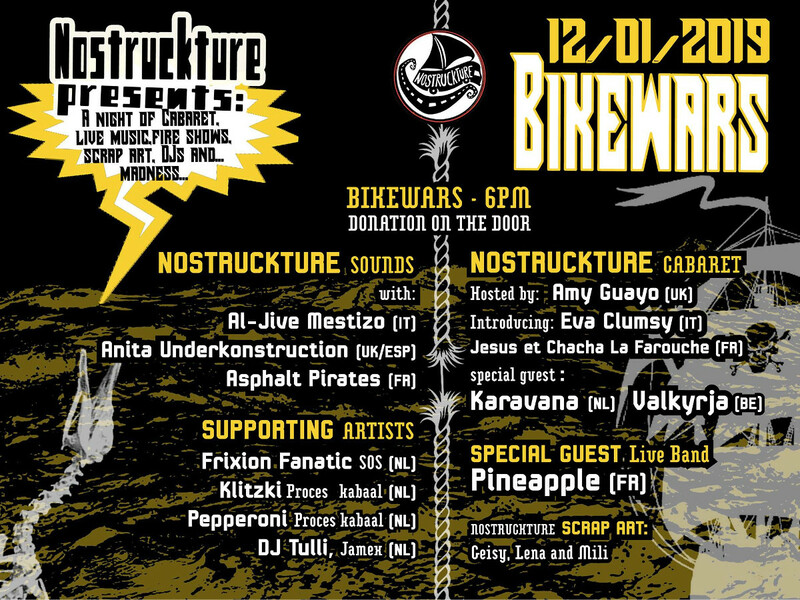 For the first step, we're proud to be invited by Bike Wars in Utrecht for a night of madness. 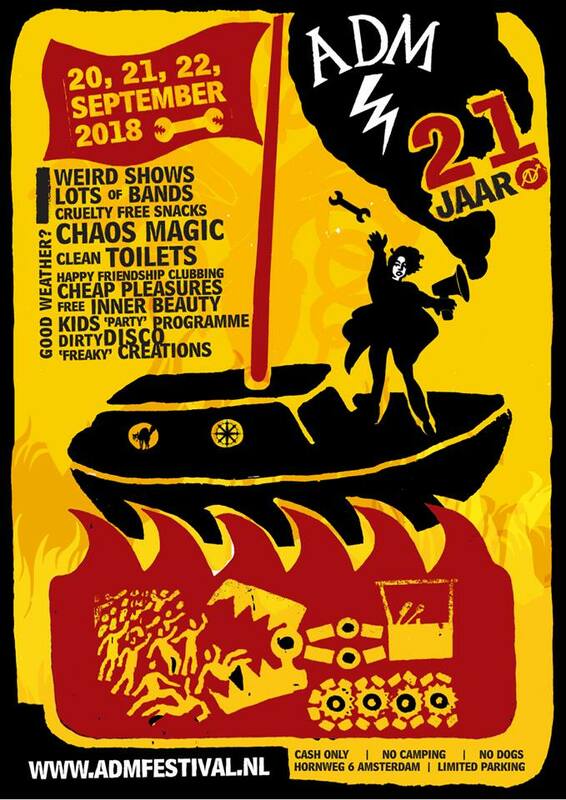 Come along for cabaret shows with part of the Nostruckture international travelling cabaret in cooperation with friends from Netherland and Belgium ! 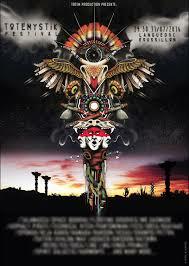 Concerts and electronic music, with live bands, live sets and Djs. 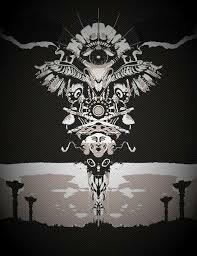 Plus Scrap art from Nostruckture artists building crew. For the last of the Nostruckture summer events, the ship will moor on Amsterdam docks in the famous ADM harbor. The stage will welcome concerts, shows, surprises and of course the Nostruckture Cabaret! The 20 - 22 September 2018 is a unique chance to take a look inside the ADM. This squatted community celebrates it's 21 years of existence with music, theater, art, circus, and much more. In a city where thinking within existing frameworks, economic interests and clean sidewalks dominate the public domain the ADM is an alternative community based on solidarity, selforganisation, respect, and improvisation. A place were Anti-conformists walk freely and Dreams still fly around and lay eggs. The ADM is under pressure now but still, it presents a huge program of international acts. Nostruckture joins forces with the Bretons of the Entourloupe collective to create a dedicated area at the 11th Aurillac Festival. RENDEZ-VOUS to the pastille no13 , for a rich experience at the crossroads of the arts! ... never to take off again! 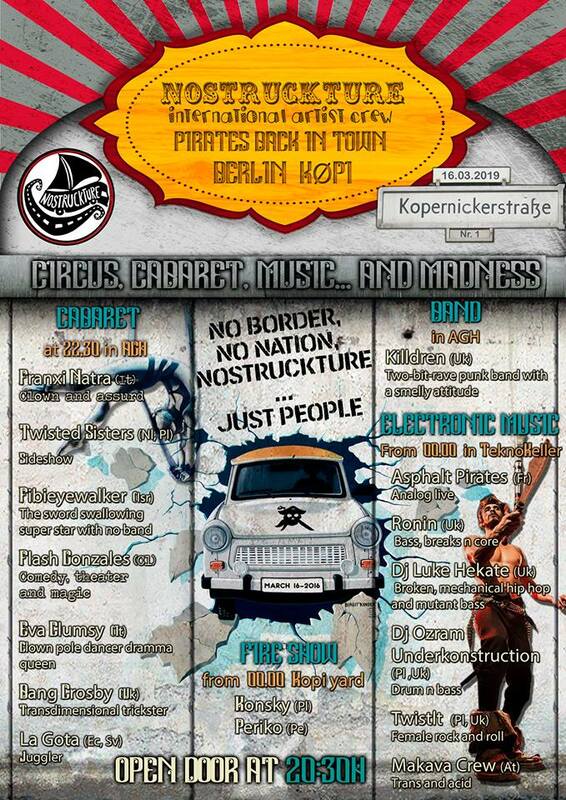 Nostruckture ship is heading soon to Berlin and 3000Grad festival with all the crew and more.. The stage will host a lot of amazing shows, performances, cabaret, concerts, djs' and live set ! Come along ! After a long stop in south-west France to repair the boat and strengthen the crew. 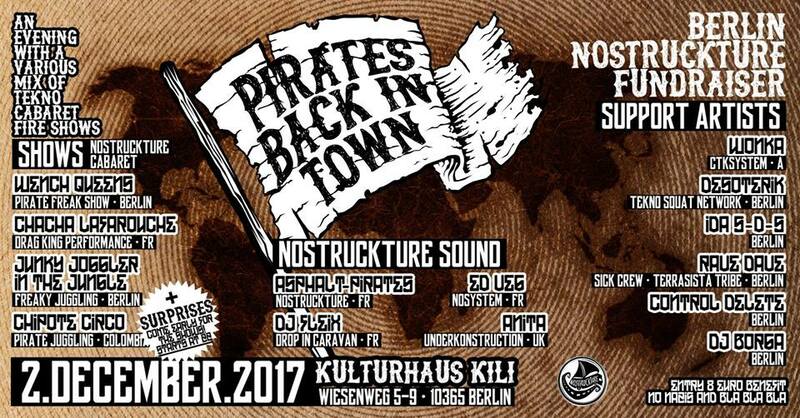 Nostruckture go to Portugal to purpose his Pirate area at Festival Freekuency. 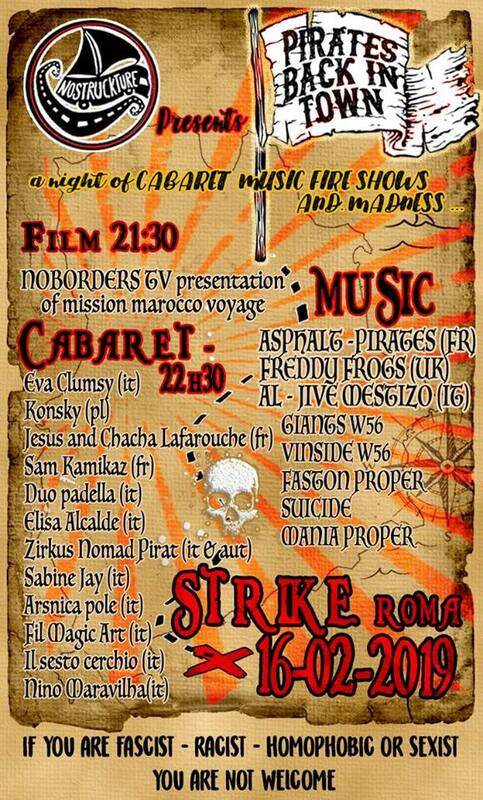 Nostruckture Cabaret is mixed with Freekuency open staged various artist for a madness week-end! 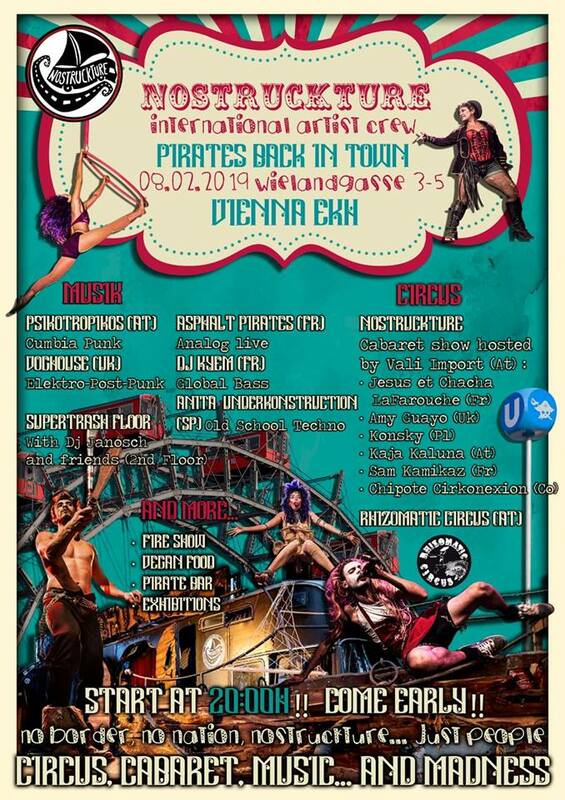 Circus, cabaret, electronic music and other and of course, Pirate Bar ! Nostruckture international travelling cabaret supported by artists from Rennes area ! Mix of music with live bands, live set and Djs. More infos coming soon !! This party is a fundraiser to support our tour and bring us on the roads with our new show. IRD+POKORA and NOSTRUCKTURE join together to prepare a spécial evening. Come along for a night with cabaret shows, concerts and electronic music. 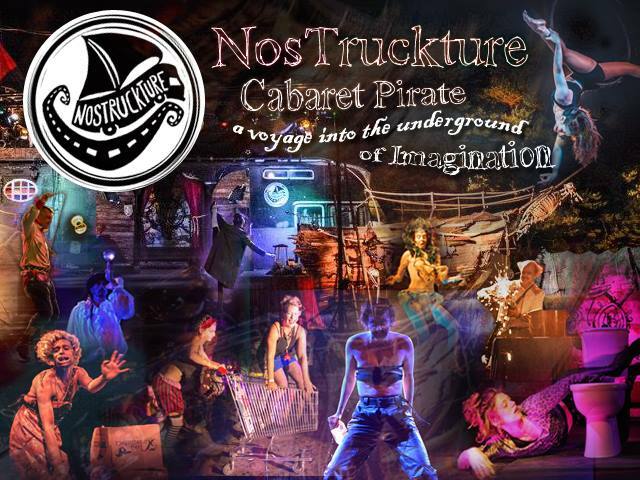 Nostruckture international travelling cabaret in cooperation with different Uk crews and artists ! 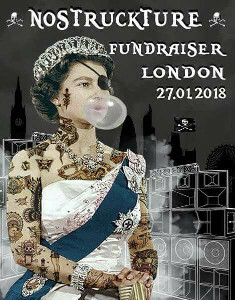 Mix of music with live bands, live sets and Djs and madness. The Nostruckture ship and its crew just returned to the port after the last crossing ! This party is a fundraiser to support our tour and bring us on the roads with our new show. This party is also a way to show Nostruckture to you Berliners with some of our artists and musicians ! AN EVENING WITH A VARIOUS MIX OF TEKNO + CABARET + FIRE SHOWS !!! The totemystic festival was cancelled. Nostruckture organised two days of music and shows with all the artists from the collective plus special guests. Closed on the site witout an audience, we used this time to meet and rehearse. After the stop at Labobean, the stageship directly set course to Portugal, bringing a part of the crew, to participate to the Nosystem festival Freekuency. Back to Labobean, where everything began, Nostruckture, took a time to repair the boat, and start his summer. The ship « Made in Labobean », was presented for the first time in these waters to thanks the association to get wet with us in this adventure. Friends and pirates family, from several tribes, were together to attack the warehouse of Labobean and make you discover their universe. 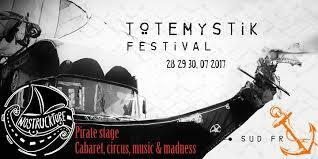 The programm : concerts, weird circus, fire juggling, cabaret, freak shows, aerial shows... and of course live electronic music plus DJ's. 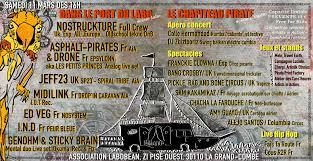 At to steps from Nimes' downtown, Nostruckture stopped the ship under a small circus tent for this event. Beaucaire was the first step of the Nostuckture stagship just released from the Labobean workshops. 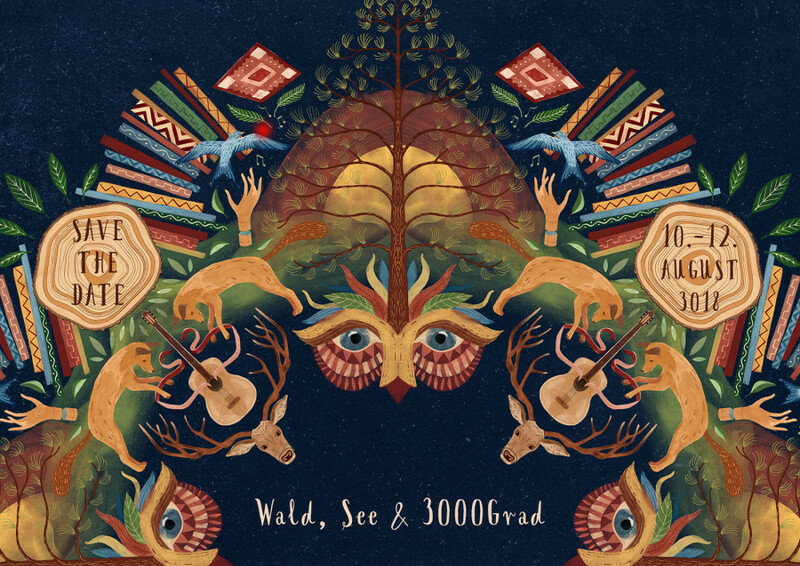 The 5000 overexcited spectators saw two days of cabaret, concerts and DJ sets. Never satiated, Pirates went on the party one more night with an open Dj-set stage.